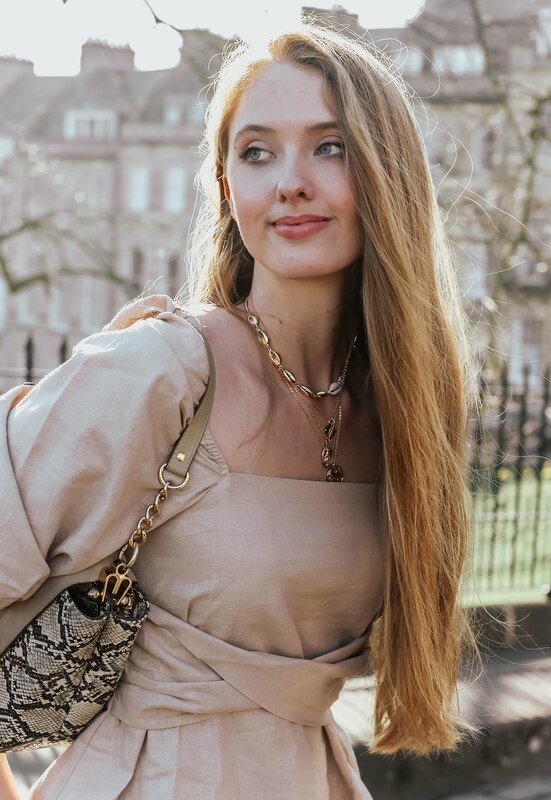 Does anyone else find they experiment more with makeup during the warmer months of the year? I'm definitely guilty of this, which makes discovering this incredible new release by Mii Cosmetics aaaall the more exciting mid-winter. Introducing the shiny new... Velvet Radiance Face Base! Available in sixteen shades, the face base matches a wide range of skin tones, meaning you can kiss goodbye to that nearly-but-not-quite colour match. So the question is, after putting it to the test and wearing it over these past few weeks, how has the Velvet Radiance Face Base performed? First and foremost, let's start with the most important factor: coverage. Personally, I adore mid-full coverage with a weightless feel. What I don't want is to feel as though I'm heading outdoors with a pancake slapped on my face. 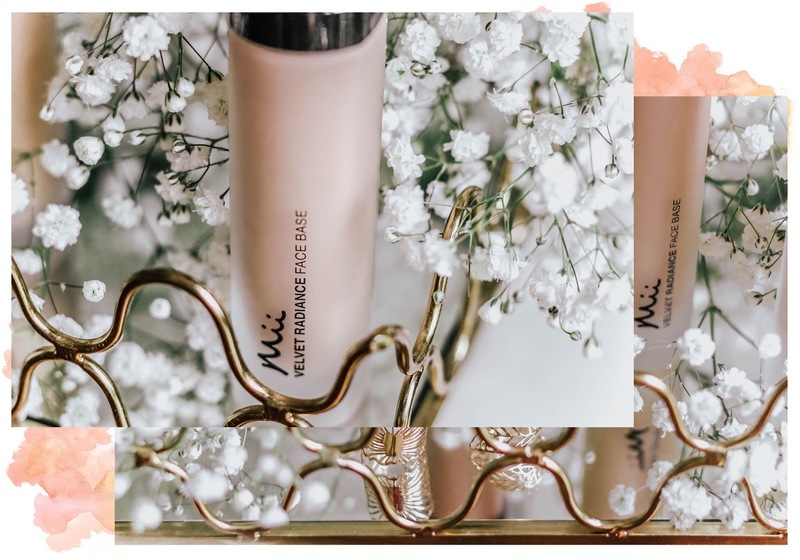 With this in mind, Mii Cosmetics' Velvet Radiance Face Base has been a total winter-weather blessing; mid-full coverage with a natural appearance. 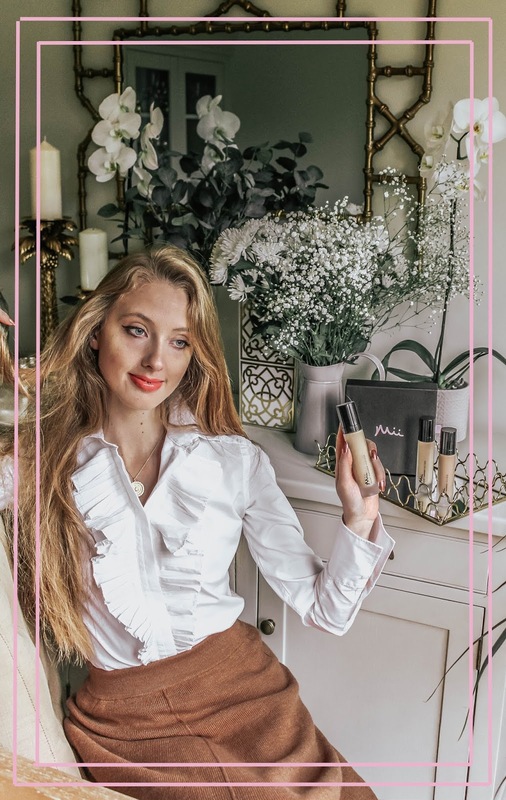 I've been wearing Truly 03 and loving it; particularly the yellow undertone that has done a fabulous job at concealing pink tones around my nose! Pretty good. 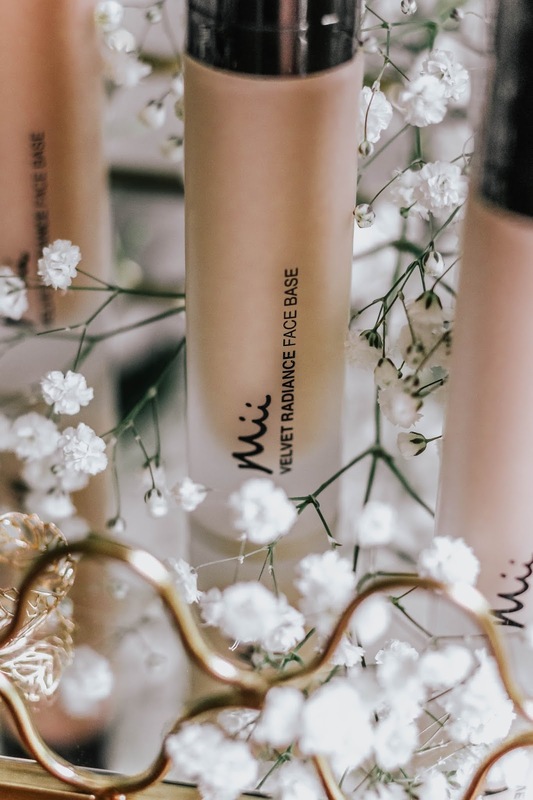 Thanks to Mii Cosmetics' focus on natural beauty, the Velvet Radiance Face Base doesn't offer a crazy glow, however it does offer a subtle radiance. No dull, dehydrated skin here. My advice? Add a drop or two of L'Oreal Champagne Highlighting Drops to the face base before applying; it'll provide that extra boost some of you may be wanting on these gloomy winter mornings! At £28 the price point is fairly average for face bases and foundations. One thing is for sure, if it's weightless mid-full coverage you're looking for, you won't be disappointed. The Velvet Radiance Face Base nourishes skin with its formulation of Carrot cells and Seaweed extract. Mii Cosmetics is a cruelty-free brand; none of their products or raw ingredients have been tested on animals. I'm a smitten kitten! 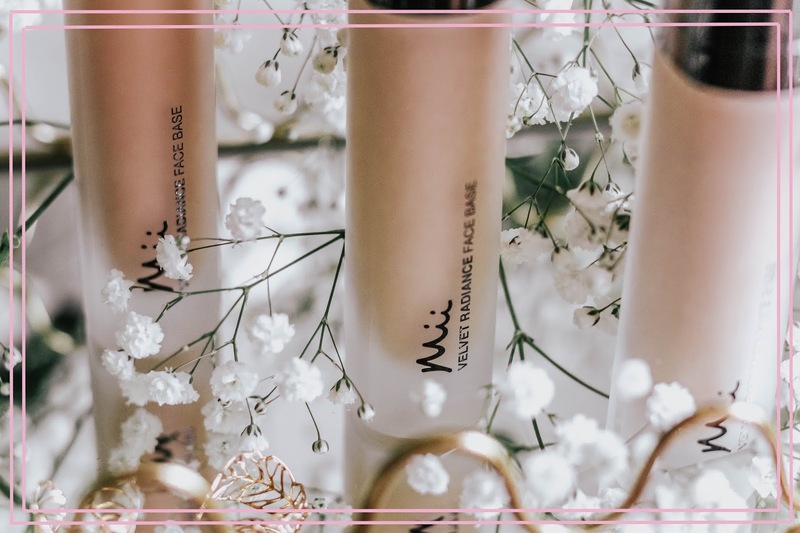 Mii Cosmetic's Velvet Radiance Face Base will be firmly fixed to my face for the foreseeable future; it provides the perfect amount of coverage without compromising their coveted 'natural beauty' vibe. I'd love to hear what you think of this face base? Have you discovered any new makeup faves this month? Let me know in the comments below! 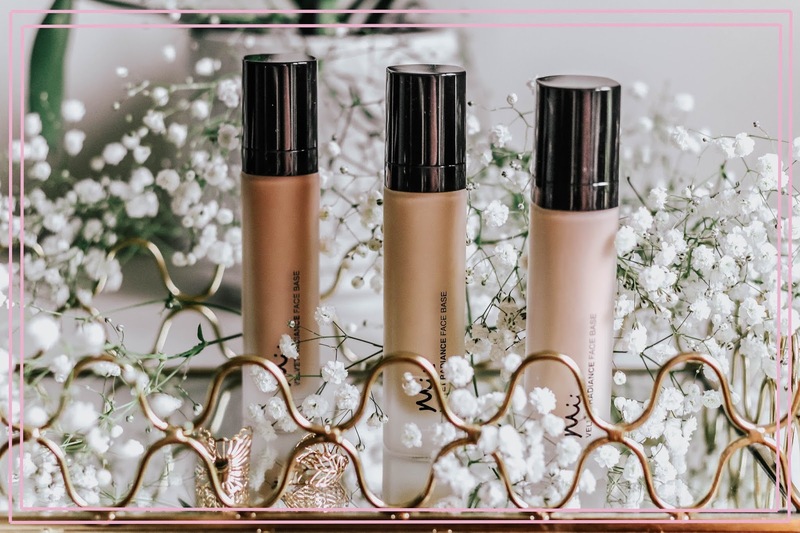 Thanks to Mii Cosmetics for working with me on this post! Oh wow this looks awesome! Oh they have the cutest packaging! Gorgeous! I've never heard of this brand, but the finish and coverage sound perfect for me. I notice they don't seem to be carried in the major beauty stores in the U.S. yet and I like to test my foundations before I buy them (my deathly pale skin is SO hard to match!). Is there a beauty shop in the U.K. that physically carries it? Maybe the next time I pop over, I could add this to my list of things to try. Wow these look absolutely gorgeous! Definitely will have to try them out! I really love looking at makeup reviews in as much as I don't use it much. Great review. I've never heard of this brand before but the foundation sounds really good! Winter tends to be when I try new products too, so I might have to give this a try. And I love that it is cruelty free! Ooooh this sounds like such a fabulous base! Your photography is so gorgeous, I can't get over how beautiful all these shots are! Oh this sounds excellent like it mixes a good mid coverage base with a glow primer like Becca's Backlight. Very cool. seems like it offers great coverage! Lovely review and presentation. You always look so pretty. Ooh this foundation sounds like a real winner! 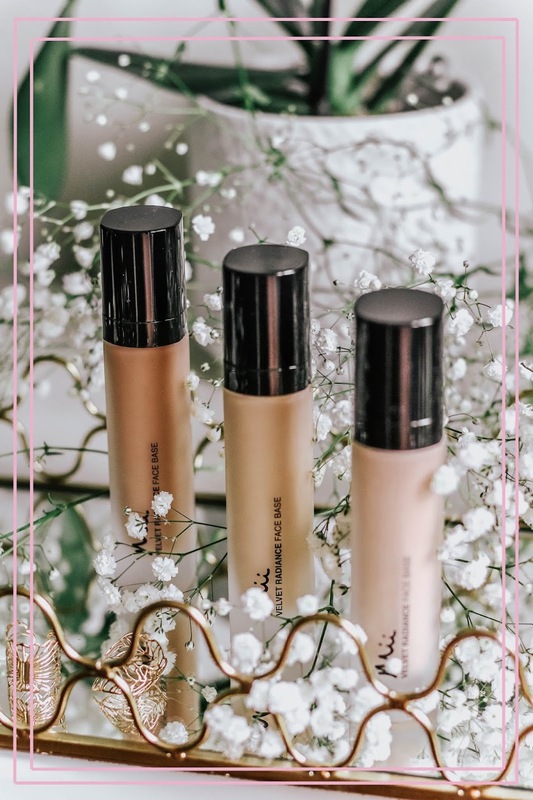 I love foundations with a bit of glow, and can we talk about how luxe the packaging looks with the frosted glass? Hope you have a great weekend! I've only heard this brand through you but they seems to deliver amazing quality! I feel like this is a product for me because I like medium coverage and lightweight formulas but I'm only scared that I might have problems with finding an ideal shade. I love that it provides good coverage without feeling like you have a ton of makeup on! Sounds like an amazing find! Thanks so much for the detailed review and gorgeous pictures, I really like that it's cruelty-free! Adore the chic packaging of this face base, it looks so much more expensive than it actually is! Sounds perfect for me too as I'm quite similar in the respect that I don't like my make-up feeling too heavy but still require some coverage! The coverage of the foundation sounds great! With finish, it's the two main things I always look at when getting a new foundation. I have to say though, the packaging is also gorgeous and looks very luxurious. Thank you for sharing your thoughts Gabrielle! Sounds like great foundation here, Gabrielle. I haven't discovered any makeup fav yet, but I've been into L'Oreal moisturizer and cleanses of late. Love! This looks amazingly good. I need to check out this foundation. Thanks for sharing dear! While I love a lightweight mid coverage foundation, the glow isn't something I am after, so I don't think it would work for me. This seems like a lovely product...thanks for sharing dear. Def have to try out this brand, thanks for sharing! They look so good, love how you apply your make up ! I'm searching for a new foundation, so your review was very useful for me :) Thank you! These look like great foundations! I generally prefer powders, but these look good! This product sounds so lovely- and I love that they don't test on animals! This sounds like a great foundation! I'm loving that it has enough coverage but still looks natural, and I definitely appreciate that it is cruelty-free as well! Thanks for sharing this product! I've never tryed it but I'll have to!! okay this has nothing to do with the post, but I'm so distracted by your backdrop. Your house seems lovely. omg sooo gorgeous! And your hair is flawless!!! !